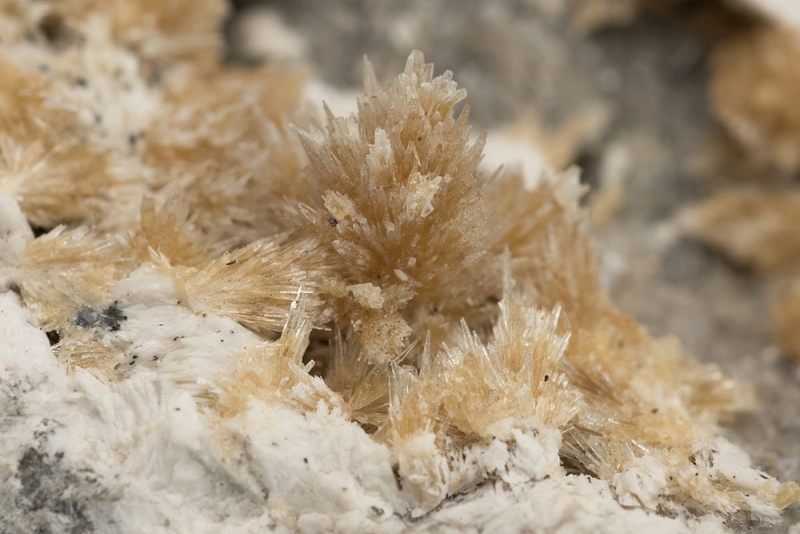 A type locality strontianite specimen. 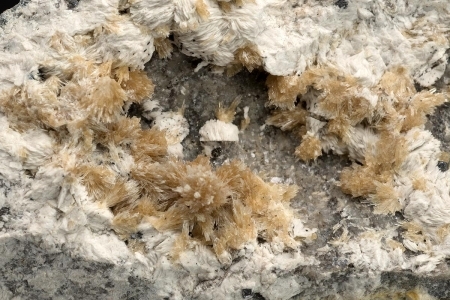 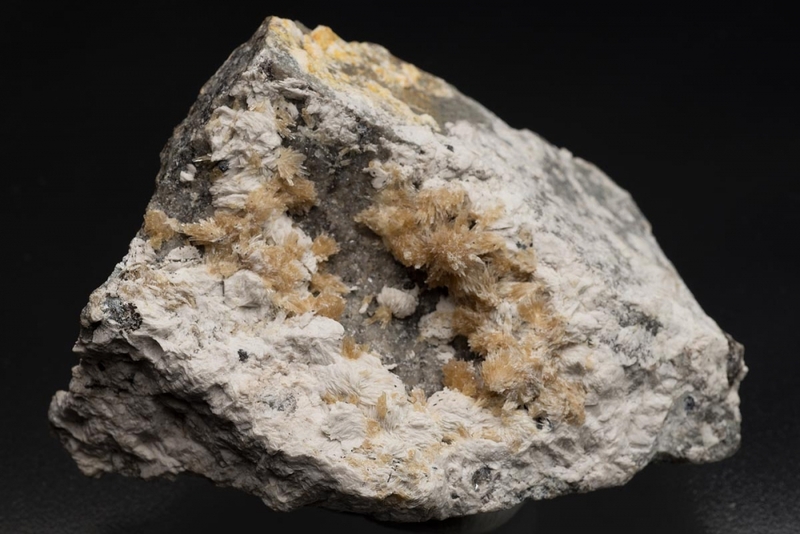 Within a cavity in a barite veinlet clusters of finely formed acicular brown strontianite crystals have grown alongside small part spheres of coxsconb barite. 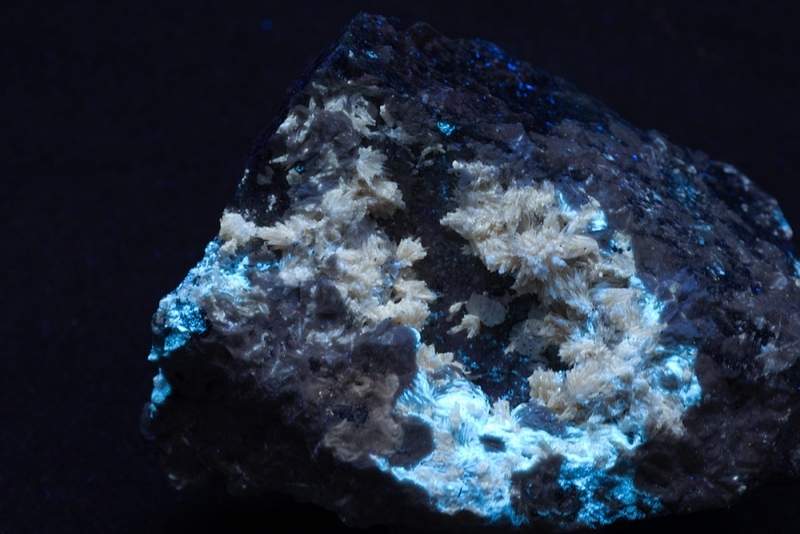 The UV photo shows its clear fluorescence and traces of hydrozincite which are the blue colour in the photograph. Excellent type locality specimen.